Interview with Hugh Laurie (German) (Translation is below). 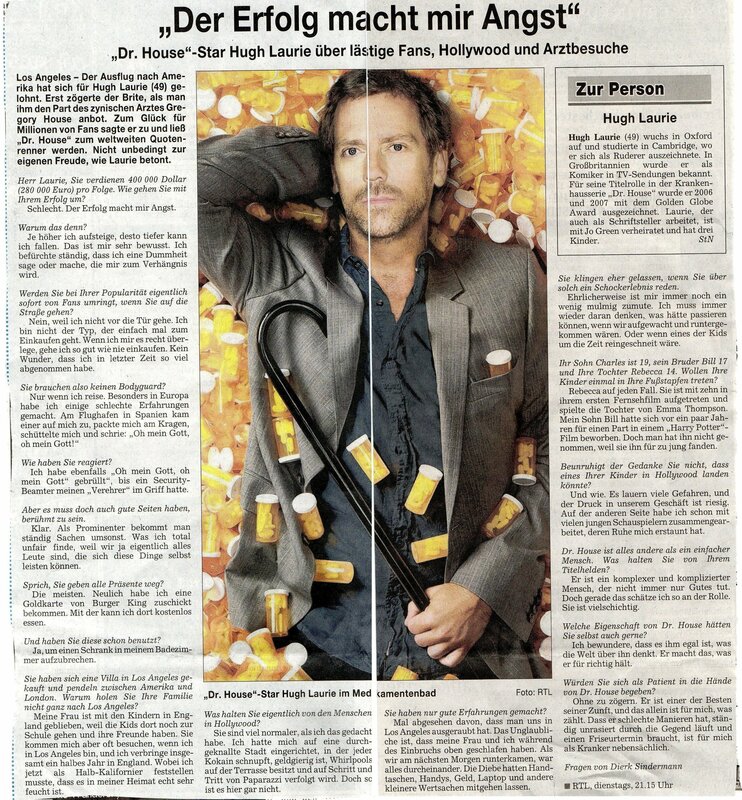 Interview with Hugh Laurie in our newspaper ("Stuttgarter Nachrichten) of Saturday 20th September 2008, where he talks about being famous, annoying peminat-peminat (the really crazy ones), Hollywood and so on.. HD Wallpaper and background images in the House M.D. club tagged: house md house article. This House M.D. photo contains anime, komik, manga, kartun, and buku komik. There might also be akhbar, kertas, majalah, tabloid, kain buruk, and muhyiddin.